Duet Stacking Chairs can fly solo, stand in rows or be set up in just about any configuration you want. Their polypropylene seats feature a waterfall edge, so your guests, audience or visitors will remain comfortable. Armrests make these guest chairs even more supportive. 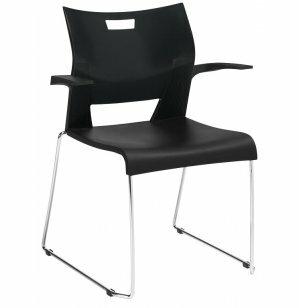 In addition to being comfortable for your guests, these stacking chairs are convenient for you as well. Their steel rod frames include sled bases with non-marring glides which prevent damage to floors. 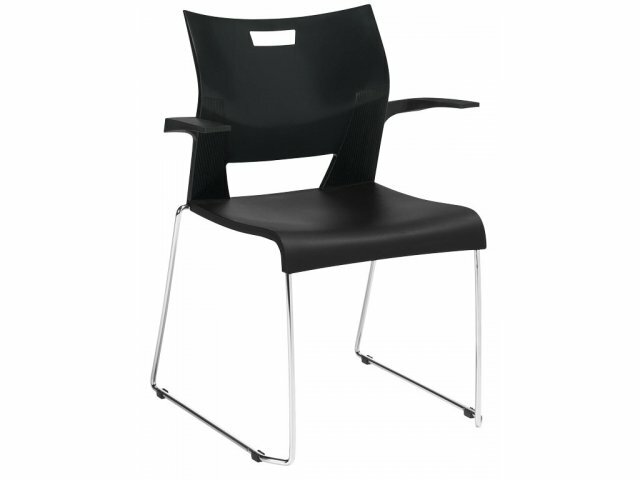 With a built-in carrying handle the chairs are super convenient to transport and store. 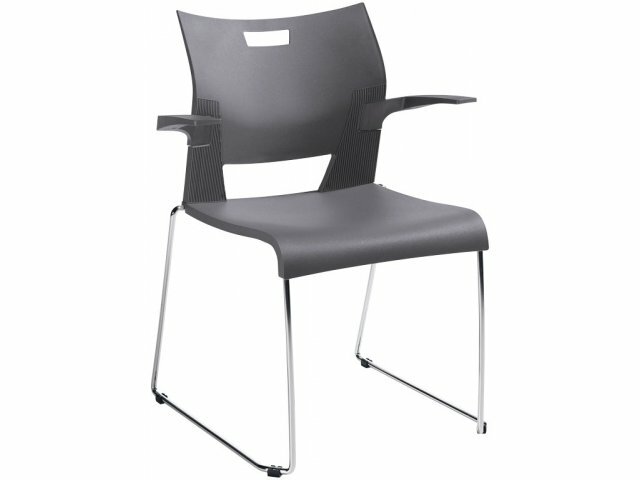 Whether you need seating for a performance, ceremony, meal or any other event, the Duet guest chair really stacks up. Quick Cleaning: Polypropylene shells and armrests are easy to wipe down. Easy Transport: A built in carrying handle on the back makes these chairs easy to move. Stack up to 4 high on the floor or 20 high on the optional dolly. Comfortable: Built-in armrests and waterfall seat fronts provide support throughout a performance or meal. Strong Support: A steel rod frame makes these chairs both stable and strong. No Damage: The sled bases have non-marring glides which eliminate scratches and scuffs on floors. Ships 5 per carton; prices are per item.